Bugs will never be a menace again! Star your nice day! 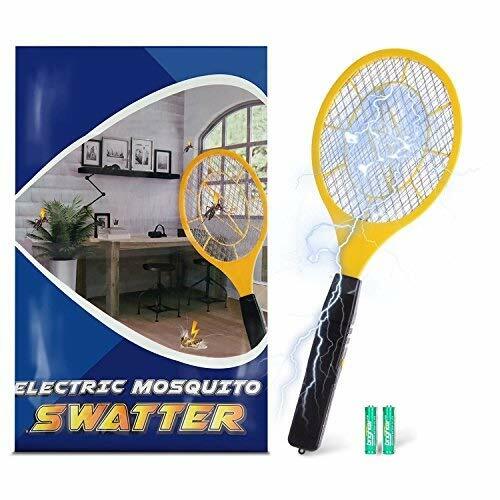 1.Convenient for Indoor and Outdoor Insect Control:It's compact and portable, The Electric Bug Swatter is two AA batteries operated which can use anywhere. You can use it poolside, at the beach, on your deck or patio, while camping, hunting or fishing and tailgating.It's suitable for both indoor and outdoor use. 2.100% Environmentally Friendly:It offers an alternative to using hazardous chemicals. The low wattage output makes it safe for use around children and pets. 3.Astonishing power, instant kill :The space between steel bars is perfect distance for zap bugs. The unique single layer design can contact with flying insects very well and zap it perfectly.The bug zapper will produce powerful electric shock waves that will destroy bugs in a second, without you even feeling. The red light indicates that the net is activated.hold the mosquitoes racket killer to kill the insect.Just press the button and shake, once flying, the Hornets or insects touch the screen will be immediately Zapped. 1.Please do not finger the inside-layer wire net,otherwise will cause a electric shock. 2.This is not a toy. Keep out of reach of children.Do not touch the netting while the power button is pressed. 3.Never wash the zapper with water to avoid causing a short circuit to the unit.Wipe screen with a soft dry towel. If you have any questions, please feel free to contact me. We will provide you with a worry-free service. 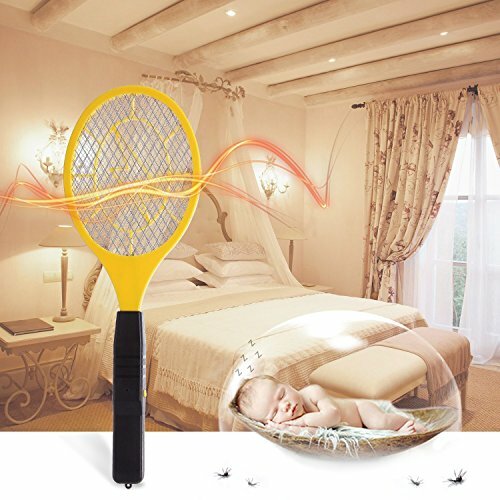 √【EASY TO USE】: Our long-lasting & light-weight Mosquito Swatter can be comfortably held and operated with one hand. 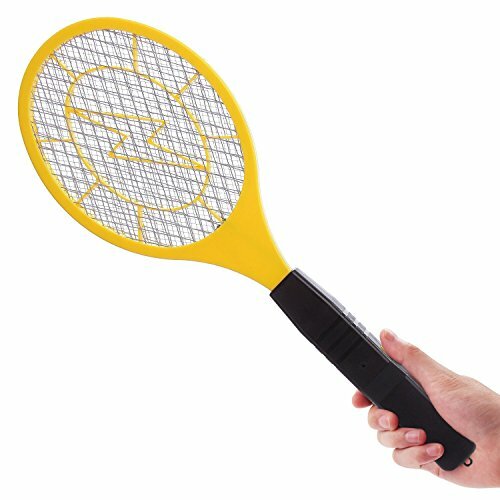 Swing the Racket fast or slowly to hit the Mosquitos, while pressing the "Zap-Button" on the handle. 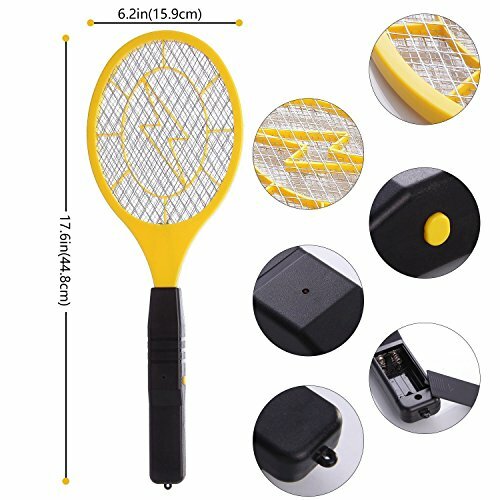 You will hear a satisfying "Zapp" sound and might see a small blue flash inside the electric mesh where you hit the mosquito, and the dead insects fall off. √【REPLACEABLE BATTERIES】: This bug zapper is non-rechargeable. 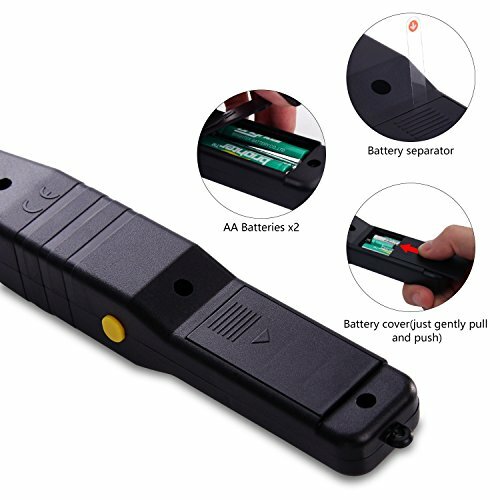 It is powered by two AA batteries, that can easily be replaced when empty. So you don't need an electric socket to charge the Swatter. 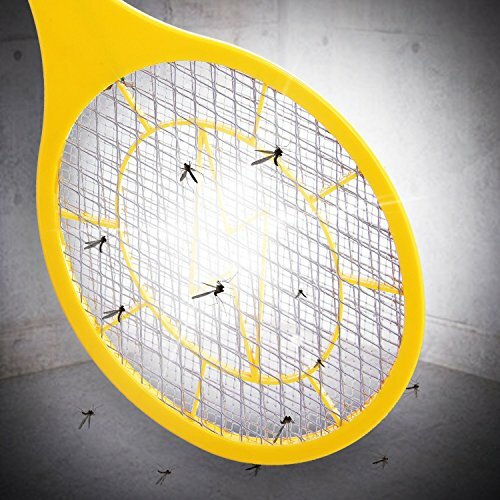 The first set of batteries is already included in the Electric Mosquito Racket. √【INDOOR AND OUTDOOR PEST CONTROL】：Forget about toxic bug sprays, which are entirely unsuitable during a barbecue or when eating outside, handheld racket kills mosquitoes, biting flies, spiders, yellowjackets, and wasps does not have any safety risk to you or the environment. √【100% SATISFIED WITH THE SERVICE】:We have a one-year warranty policy.If you have any problem about the mosquito killer,please free feel contact us , we will send a replace or refund.This would be a no-worry deal. If you have any questions about this product by Henscoqi, contact us by completing and submitting the form below. If you are looking for a specif part number, please include it with your message.